to the sloping enthusiast and how regularly it is updated." their efforts have made my wonderful hobby even better." "Nice one. There's some I didn't know about and I've been flying twenty years." "I don't fly gliders myself but I see them at my local National Trust hill and they are a joy to watch." "Really, really useful. I just hope not too many people discover this information!" 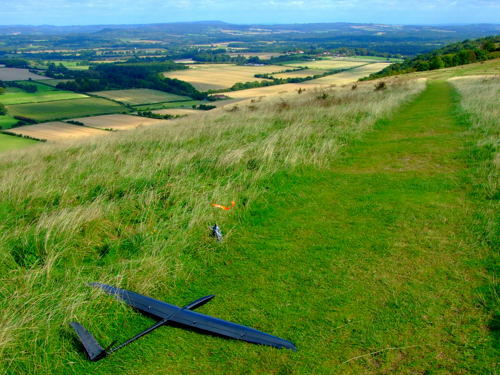 "This has got to be one of the best model flying sites on the web. Well done chaps." "High time someone made something helpful like this. Too many flyers are unhelpful and secretive about 'their' sites." - best wishes from Bavaria." "Slope soarers had mentioned some of these spots but I'd never been able to find them until now." "Thanks for producing the information. I will let you know if and when I find suitable flying sites." "After reading about Mill Hill I went there to check it out and everyone was so friendly." "The Long Man site is really nice if you can get up the hill." "I want to try them all!" "The slopes look quite busy in your photos but actually I find most of these slopes deserted most of the time." and kite flying on their sites - some wardens might need 'educating' about that of course!" "Very informative and amusing descriptions." apply online for discounted membership." "You're right, Firle is great for relaxed flying." "Excellent, thanks for compiling a really useful guide." "Thanks very much - I must get to Beachy Head before the summer's out."